What better way to celebrate famous art than through another form of world renowned art–– Murano glass. The eccentric and complicated Dutch Impressionist artist Vincent Van Gogh was known for his passionate, swirling brushwork with his The Starry Night being regarded as one of his finest works. 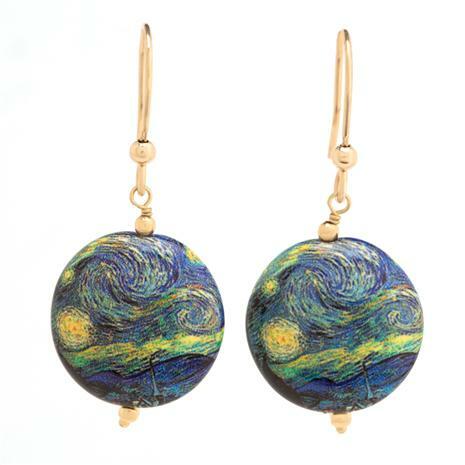 Here, our artisan has captured Van Gogh’s beloved The Starry Night painting perfectly in Murano with not a swirling brushstroke out of place. This is more than beautiful jewelry. This is art grounded in history and tradition that is certain to leave a great impression.